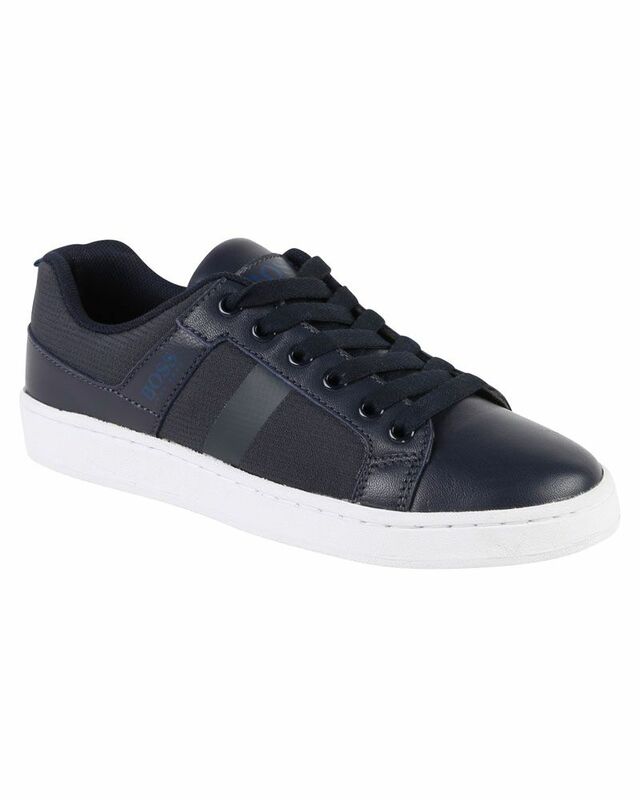 BOSS low cut leather lace up sneakers with contrast and logo print detailing. 100% Leather. Imported.